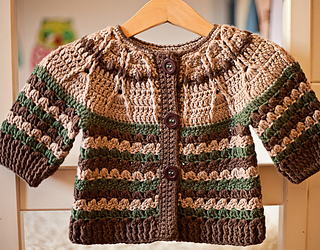 This pattern is available from lovecrochet.com for €3.42. Color work in crochet can be so fun. 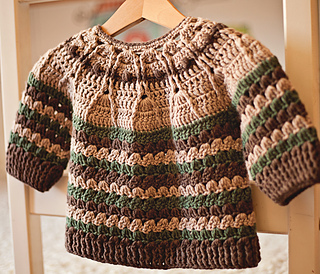 It is also a great occasion to use yarn leftovers from other projects, especially when making small size garments. This pattern is quite addictive and you will most probably wish to make more than one. It is worked top down, seamless. Stitch combination of the yoke keeps your interest and the body part is fun to work because of color changes. Milla Mia Naturally Soft Aran yarn comes in 50g (1.75oz) balls, 80m(87y) per ball. 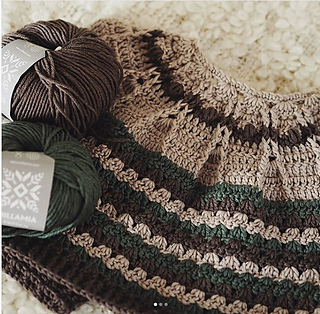 When choosing alternative yarn avoid heavy worsted weight yarns, as Milla Mia Naturally Soft Aran yarn is pretty lightweight. 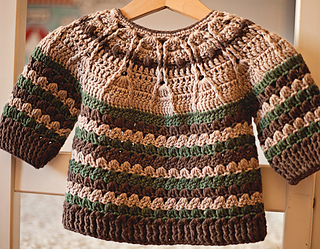 Instead choose light worsted weight yarn. In any case – always check the gauge!